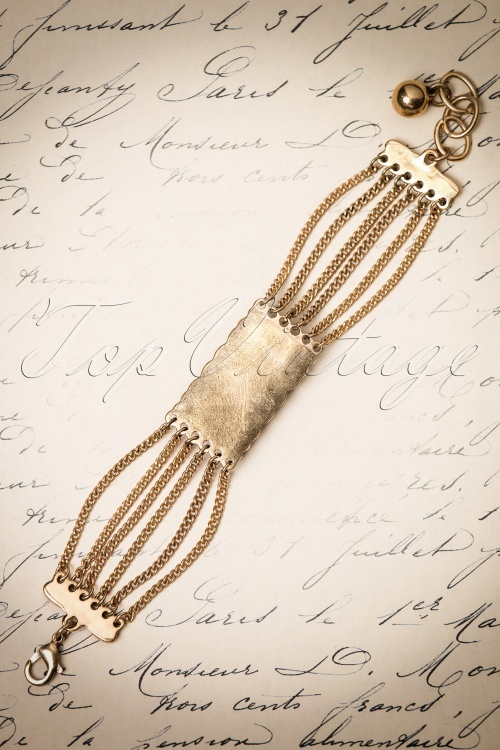 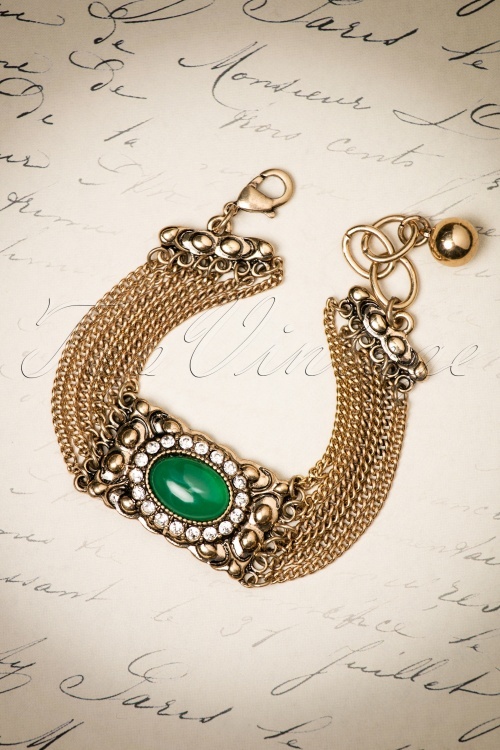 Glam to the max with this 20s Laverne Nouveau Bracelet! 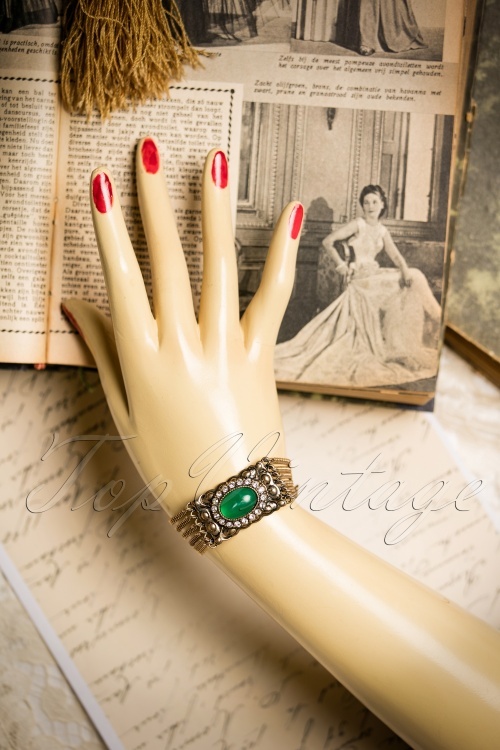 Some jewelry simply deserve to be exposed at the TEFAF, even if they're reproductions of the real glitz and glam from the early Art Deco period... this beautiful bracelet is one of them, wow! 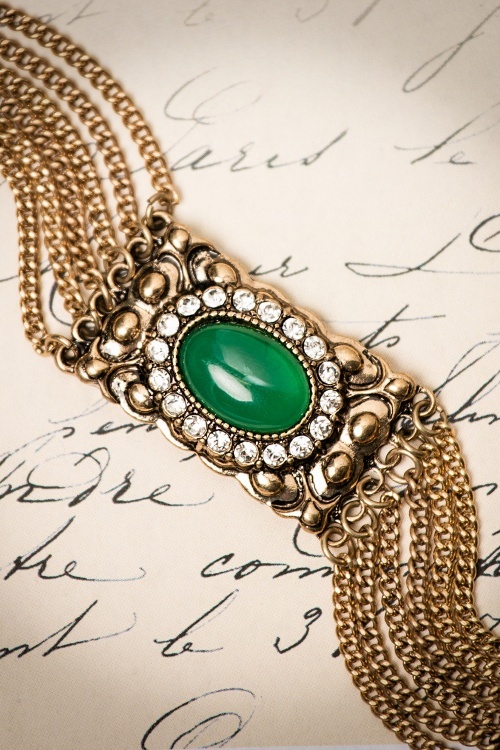 Laverne features fine antique gold toned chains which come together at an ornate plate that's set with a green faux gemstone surrounded with little sparkling rhinestones. 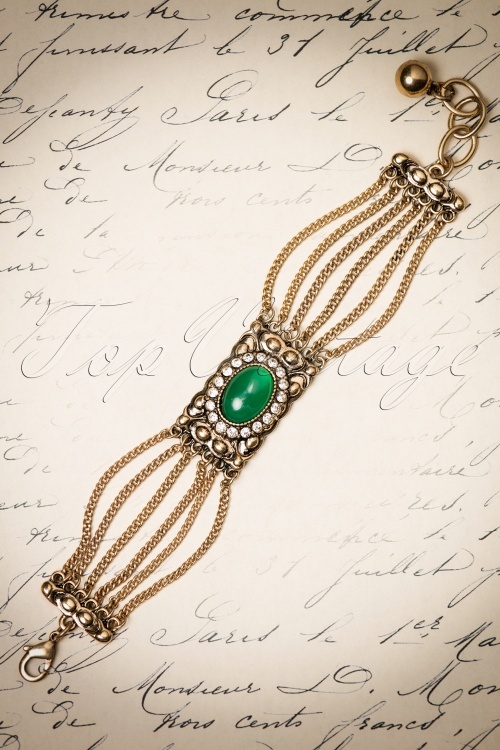 This vintage style beauty will totally enchant you!